For more than 125 years, Wood has delivered comprehensive services throughout North America to support our customers across the complete asset life cycle. We are known in Europe for our unrivalled asset familiarity and performance-driven solutions throughout the asset life cycle, from development to decommissioning. Backed by an 85+ year history of operating within the Asia Pacific region, Wood is proud of its longstanding partnerships, underpinned by our proven ability to optimise asset performance, drive capital efficiency and deliver for our customers. Wood has been present in the Caspian region for over 20 years. We combine our strong knowledge of the area, global expertise across the entire asset life cycle and experience required to operate successfully in the harsh and complex environment of the world’s largest land-locked body of water. The Middle East is a key growth area for Wood. We have maintained a presence in the region for over 7 decades; helping design, build, operate, maintain, and modify some of the world’s largest and complex facilities. Wood is strategically located throughout Latin America and the Caribbean in a variety of sectors including oil and gas, refining, chemicals, water, mining, energy, industrial plants and facilities and communications. Our footprint in Africa continues to expand. For over 30 years we have been investing selectively to improve local services and support communities. 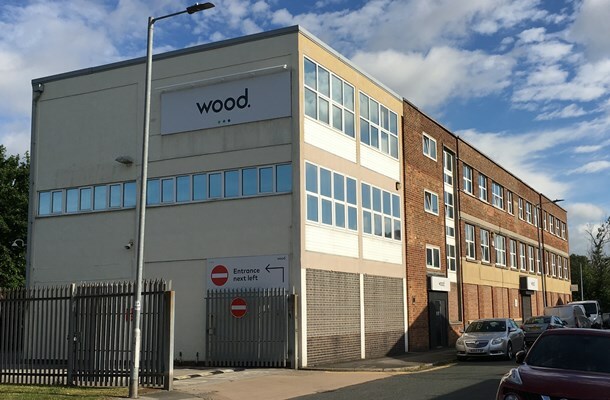 Wood confirms its commitment to the Humber region through the establishment of an operations centre in Kingston upon Hull. The former Attric Limited business, experts in operational management solutions and part of the Wood family since 2012, will form the nucleus of the Wood office, working closely with colleagues in other parts of the UK and around the world, providing project engineering and technical services across the full asset life cycle. Combining the 35 years of experience of our Aberdeen team and the 55 years of experience of the Humber team, our operational management solutions capability remains at the forefront of developing technical strategies, procedures and training plans for the oil & gas, downstream, power and industrial sectors. We will continue to deliver a range of strategic solutions and technical documentation services in operations, maintenance, HSEQ, training and information management. With more than 160 employees based in Kingston upon Hull and in power stations around the UK, our service offering is strengthened by this addition to our geographical footprint. These latest wins add to Wood’s long track record in the region, including projects for Phillips 66, BP and Total, covering gas storage, refining, chemicals, power. consumer goods and environmental consultancy. Wood is already well-established in the wider region with offices in Darlington, Gateshead, Newcastle upon Tyne and Stockton on Tees. You may automatically receive John Wood Group PLC financial information by e-mail. To choose your options for e-mail notification, please enter your e-mail address below and click on Subscribe.